Apollo and the Muses are on Mount Parnassus, reminiscing historical tales as they prepare for the wedding of the goddess Thetis to the mortal Peleus (later the parents of the hero Achilles). The goddess Eris, disgruntled at being excluded from the wedding celebrations used a golden apple to incite the vanities of the wedding guests, requiring the judgment of Paris to determine the fairest, which in turn led to the Trojan War! Handel's wedding serenata was written to celebrate the marriage of the real life Princess Royal, Princess Anne, to the Prince of Orange in 1734. Handel borrowed a significant portion of the music from his own English oratorio Athalia and added several newly composed numbers set to a new Italian libretto. 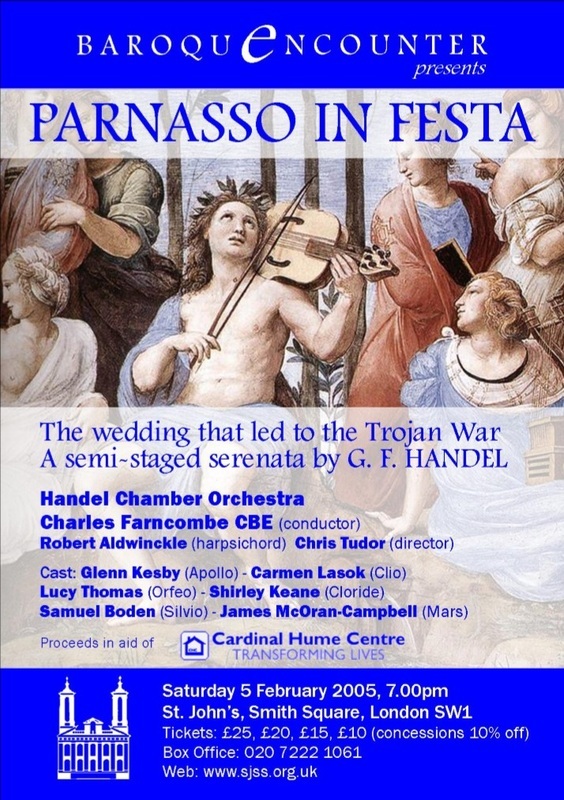 Parnasso features 6 solo singers, who also combine to sing the splendid choruses, chamber orchestra, and 1 baroque dancer.